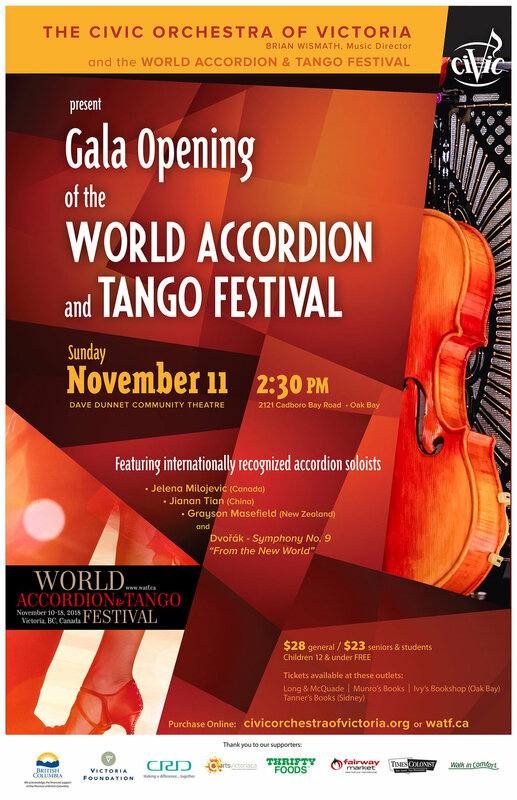 Join the Civic Orchestra of Victoria and soloists from the World Accordion and Tango Festival for this exciting collaboration and celebration of the accordion and tango! The concert will feature three internationally recognized accordion soloists accompanied by Civic Orchestra strings and the Civic Orchestra performing Dvořák's Symphony No. 9 "From the New World".